In affordable price we have around 10 cheapest locations to visit across the world are discussed here. Now to plan a trip outside India is not expensive and we have around 20+ locations which are in your budget or pocket friendly. Some detailed information about the locations is discussed below so that you can plan as per your budget. 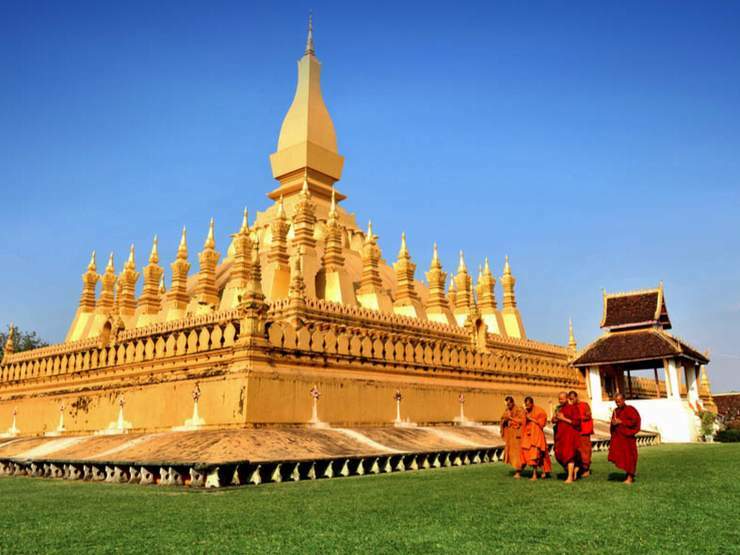 Laos is a beautiful and peaceful destination to plan your holidays. With the spiritual point of view we have many temples dedicated to Lord Buddha, the jaw dropping sightseeing and cuddling waterfalls in the laps of nature makes it more beautiful. Some more attractions are Elephant Village Sanctuary, Kaung Si Falls, Mount Phousi and the most spectacular Tad Sea falls are the amazing one to enjoy. Some adventurous activities to do in Laos includethe zipping through the forests, rock climbing, boat trip into limestone caves and many more to enjoy. So this time Laos can be one of your summer vacation destinations as the Indian rupee id equals to 120.50 Laotian Kip which settles all bills of hotels, adventurous activities and other expenses in your budget. Thailand is one of the most visited tourist place in past few years and if we talk about the expenses then it’s around in a lakh you can plan it. This place have many tremendous locations to visit like Bangkok River Cruise, boating in River Kwai, WatArun Towers, Ayutthaya Historical Park, most famous white temple Wat Rong Khun and many other places. The specialty of Thailand is the body massage spa’s which will be one of the most relaxing activities to enjoy. Some thrilling and adventurous activities to enjoy their includes the Bankok Canal tour, Pattaya Dolphin World, swimming with sharks at Siam Ocean, Scuba Diving in Phuket and many more to get splendid. So sure this destination will fascinates you to plan in the upcoming summer vacation. A tour to Singapore is just like a dream comes true; it is the most visited tourist place all across the world. The center of attractions for the tourist is Marina Bay Water Front Promenade which can be enjoyed in evening, the most famous fashion street ‘Orchard Road’ for the shopaholic peoples, a tour to city via Bumboat, beautiful walks in Gardens by the Bay, top view of the city from Sands Skypark and many more splendid moments to enjoy in Singapore. Some adventurous activities to enjoy in Singapore includes the indoor sky diving, water activity at cove waterpark, reverse bungee at Clark Quay, river safari any many other to be loved. Your expenses including hotels, adventurous activities and eatables are not as expensive as comparison to shopping. This location can be your coming summer vacation destination. Indonesia is also one of the beautiful locations to enjoy and considerable as one of the famous honeymoon destinations. It’s a beautiful island where you can visit the locations including the Hanging gardens of Bali, canadi Prambanan temple of 9th century dedicated to lord Shiva, stay out at natural blue late Toba, rainforest canopy in Kalimantan and many more locations to visit. If we think as per the budget than it’s a pocket friendly destination as much you can travel, enjoy, and spend on eatables and shopping. To enjoy adventurous activities in Indonesia includes the white water rafting, horseback riding and river boarding etc. you must plan a trip to Indonesia to enjoy all this. Maldives is a luxurious place to enjoy and to play many water activities. Beaches are your home and you can also book Bungalows and hotels around the beaches to enjoy this place. If we think as per the pocket than it’s a pocket friendly destination as much you can travel, enjoy, and spend on eatables and shopping, adventurous activities etc. Here you can enjoy snorkeling, water flying, fun tubing, parasailing, and diving and spa therapy. Most visited places in Maldives include the Banana Reef, Hulhumale, Artificial Beach Male, National Museum, secret paradise, Fulhadhoo beach etc. So it can be a tremendous tour to the water loving peoples and can be a memorable one. It can also be a pocket friendly destination to enjoy with your loved ones as the SCR is much less as comparison to Rupee so that you can spend much on your enjoyment. The to do list for this beautiful destination includes the view from Petit Amour, sunbathing on the beaches, rock climbing in Constance Ephelia, a day tour to Morne National Park, Halicopter ride and Golfing etc you can enjoy in Seychelles. Water activities to perform includes the Scuba diving, snorkeling, rock climbing and boat tours also you can enjoy with your family friends. So you can list out this location also for your coming upcoming destinations for holidays. Cambodia is a destination for rich culture and heritage which includes the temples with deep spirituality, lustrous green natural scenes, untouched and natural beaches, cruising in Mekong, visit to the Angkor Wat (one of the largest temple), National parks of Cambodia and many other beautiful destinations to enjoy. Some adventurous events to join includes the Zip lining, camping, canoeing, caving, sailing and skiing etc to enjoy on your holidays to Cambodia. The country has lowest prices in hotel bookings, travelling vehicles, destinations to visit, on eatables and shopping. You must think about this destination while planning your coming vacations. It can be one of the beautiful locations to plan your holidays. The places which you must visit the white beaches in Boracay, beautiful sunrise and sunset at Coron island, to visit the chocolate hills, to enjoy in Mayon, Malapascua Island etc. One must plan a trip to Philippines in his life to enjoy the splendid white beaches. Some activities to enjoy including the cliff dive in Boracay, fly through the sky in Bukidon and many other fun activities to enjoy. It’s a bit more around .5 times you need to spend on booking hotels, travelling charges and other expenses, must wait for the good offers. Nepal is also a destination to plan your holidays in your budget and affordable to book good hotels and spend some time. 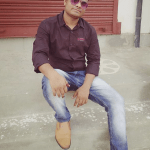 The locations which you must visit includes the Kathmandu for the historical temples, Bhaktpur (as a royal city), Boudhanath Stupa (for the spiritual awakening of souls), Pokhra (a beautiful destination for the trekkers), Chitwan National Park (the famous wildlife sanctuary), Lumbini, Swayambhunath (the famous monkey temple) and many more beautiful locations to enjoy. When you plan your trip to Nepal must keep this location in bucket to enjoy. An amazing country to roam around the destinations Colombo, Galle, Panduwasnuwara, Matara, Katarangama and many more. This country is famous for the bluish beaches, amazing cuisine for your taste buds, and vibrant destinations to enjoy and to perform the adventurous water activities and all this in your budget. Some more you must include in your tour is art and cultural visits to observe the Sri Lankan culture and living style. Next articleWhy KYC Remediation is Important for Digital Businesses?